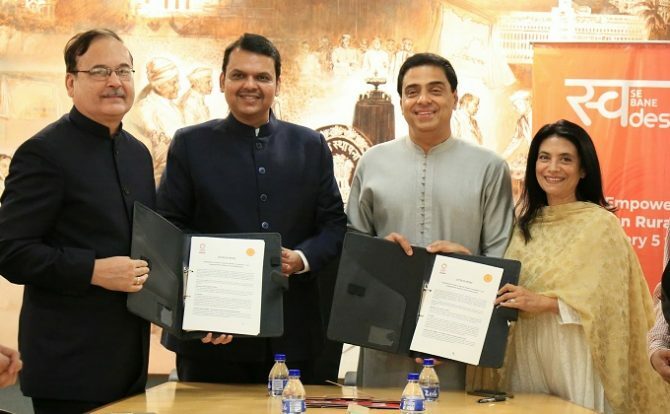 Dinesh Kumar Jain, Chief Secretary, Government of Maharashtra, Mr Devendra Fadnavis, Honourable CM of Maharashtra with Zarina Screwvala and Ronnie Screwvala at the signing of Letter of Intent. Mumbai: Swades Foundation has signed a Letter of Intent (LoI) with the Government of Maharashtra to scale up operations for 1000 “Swades Dream Villages” in Raigad and other districts in Maharashtra, over the next 5 years. Together, the Swades Foundation and the Government of Maharashtra will work towards the empowering rural communities at the village level with the unique holistic developmental model developed and tested by the Swades Foundation, which includes Health & Nutrition, Education, Water & Sanitation and a comprehensive Economic Development Programme. Under the ‘Swades Dream Village’ – The Swades Vision for Rural Empowerment, the community will be empowered with the capability to transform their own lives. A ‘Swades Dream Village’ will be opened to the world using appropriate technologies & will be environmentally and socially conscious and driven towards equitable and sustainable growth. A unique programme for reverse migration of families from urban areas to their villages is also a part of the project. The aim is to create a model of sustainable development for others to follow. “We have been working closely with the Government of Maharashtra for the past 5 years and are grateful to them for extending their support to the Swades Dream Village programme. The association is testament to the belief and efforts of each of the 300 plus team of the Swades Foundation who work tirelessly towards its vision,” added Mr Screwvala. Swades Foundation, started by Ronnie and Zarina Screwvala, works in 7 blocks of Raigad district in Maharashtra, India covering 388 Gram Panchayats and approx 2300 village hamlets with a mission to empower 1 million rural Indians every 5-6 years, creating a permanent, irreversible change to rural communities. Swades Foundation is also a partner in the Chief Minister’s Village Social Transformation Foundation & has MoUs with the Department of School Education and Sports and the Department of Public Health, Government of Maharashtra. 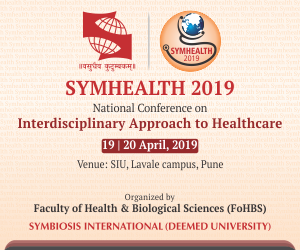 The holistic approach covers all aspects of individual and community development through 4 key verticals – Health & Nutrition, Education, Water & Sanitation and Economic Development. Swades Foundation has built toilets in over 21,000 homes and 150 schools and have also brought access to potable drinking water through taps in over 30,000 homes of Raigad district of Maharashtra which has made a remarkable change in the lives of especially girls and women and fulfilled their dream of enjoying potable water in the comfort of their homes. The Foundation has created a cadre of community health workers called Swades Mitras, who were trained to provide primary healthcare solutions in their own villages. This has led to an improvement of the community health and well-being, which has also led to a near 100% institutional deliveries and other health milestones. Besides, Swades Foundation has a comprehensive eye care programme what involves 100% screening and leading to provision of over 67,000 spectacles & over 13,000 cataract surgeries. Additionally they also implement a one of its kind anaemia alleviation programme in collaboration with the State Government in Raigad district.